If you like to be active and stay in shape with a variety of activities that allow you to keep up the motivation while making new friends and sharpening your skills, the Parker Fieldhouse should be the first place on your list. As the site where many of Parker Rec's sporting events take place, Parker Fieldhouse offers something for everyone, regardless of age or ability. This comprehensive sports facility offers activities within a 100,000 square foot facility in three broad categories: aquatics, sports and fitness and wellness. With two pools – the H2O'Brien Pool and the Recreation Center Indoor Pool – the Parker Fieldhouse offers programs such as water safety instruction, lifeguard training, swim lessons and aqua aerobics as well is open swim opportunities. At the Parker Fieldhouse, sports-loving individuals – from the tiniest tots to adults – can enjoy their favorite sports while learning to work together as a team, build important skills and have tons of fun. Some youth sports programs available include fencing, basketball, skateboarding, archery, baseball, track and soccer as well as many others. Adults can choose to participate in volleyball, tennis, flag football, dodgeball and more. Other activities that fall under the 'sports' umbrella include clinics, camps, special events and a climbing wall. 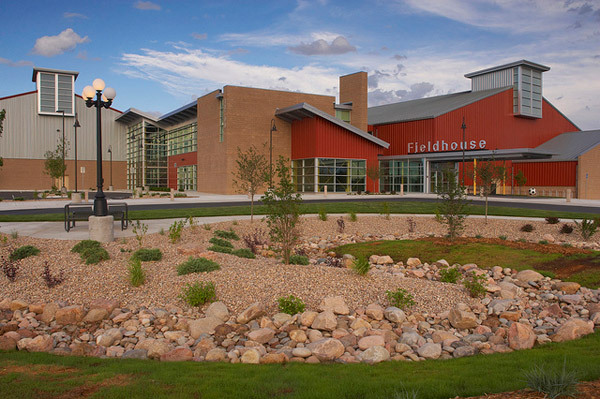 With an emphasis on lifetime fitness and maintaining health, the Parker Fieldhouse offers programs that are designed to emphasize a positive lifestyle. Group fitness cases, personal trainers, weight training, dietitians, a CancerFit program, and senior wellness and fitness programs are just of few of the many offers and opportunities just waiting for you, your family, and your friends to take advantage of when you visit this attraction. Regardless of how old or young you are and what gender you might be, this is an attraction with programs and opportunities available for anyone who wants to partake in them. What are the Top Attractions found in Boulder, CO? Where Can You Go Ice Skating In Denver?